"Unable to find a medium containing a live file system" (see photo). 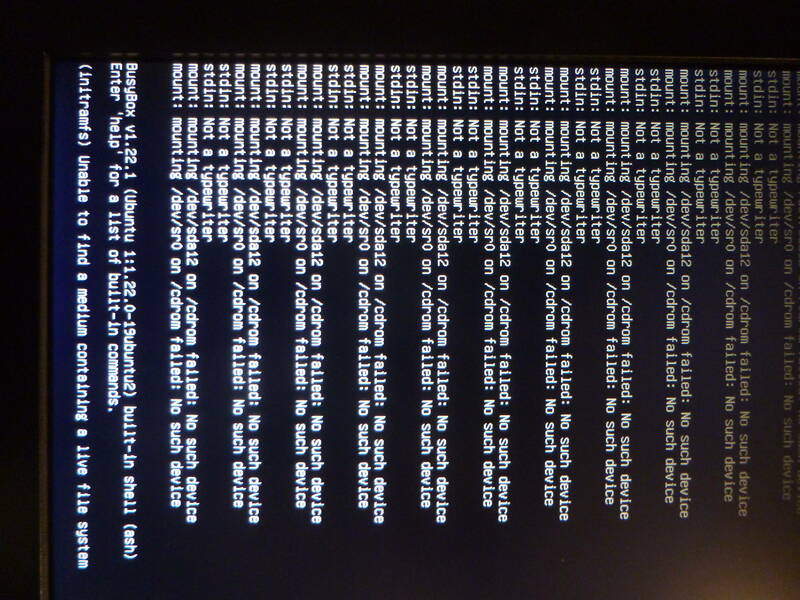 Same problem also for Lubuntu's daily Yakkety iso. The same iso boots however on my PowerBook G4 5,6 + 5,8. I cannot add logs with apport-collect because the non-working kernel does not get to a stage where this is possible. Upgraded the Ubuntu MATE 16.10 on-disc installation to the recent linux-image-4.8.0-16. 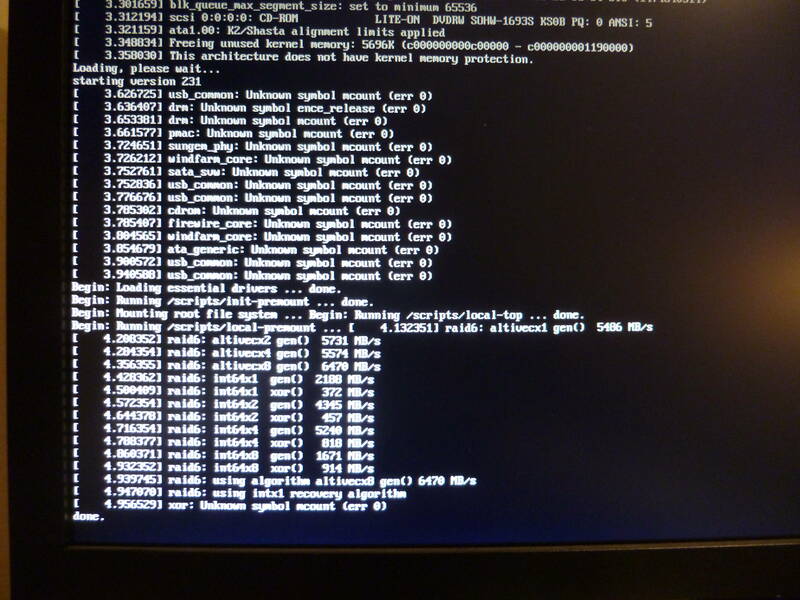 Like the daily-iso the PM 7,3 does not boot but I get more usedul error messages displayed on the framebuffer. Several "Unknown symbol ence_release (err 0)" and "Unknown symbol mcount (err 0)" messages are displayed (see screenhot) and the boot process is halted. Todays (03.10.2016) daily iso is still unbootable on my G5, though it is a lot more verbose about not finding a media containing a live filesystem. See attatched screenshot. Now as I see theres error messenges I rememember the same error happened during the beta phase of Ubuntu MATE 16.04 too, at least the error messages were exactly the same. It got fixed later in the beta phase of 16.04. With todays daily live and "linux-image-4.8.0-21-generic 4.8.0-21.23"-kernel my G5 boots fine again into the desktop (as long as boot-paramenter radeon.agpmode=-1 is used)! Will mark this bug as fixed.